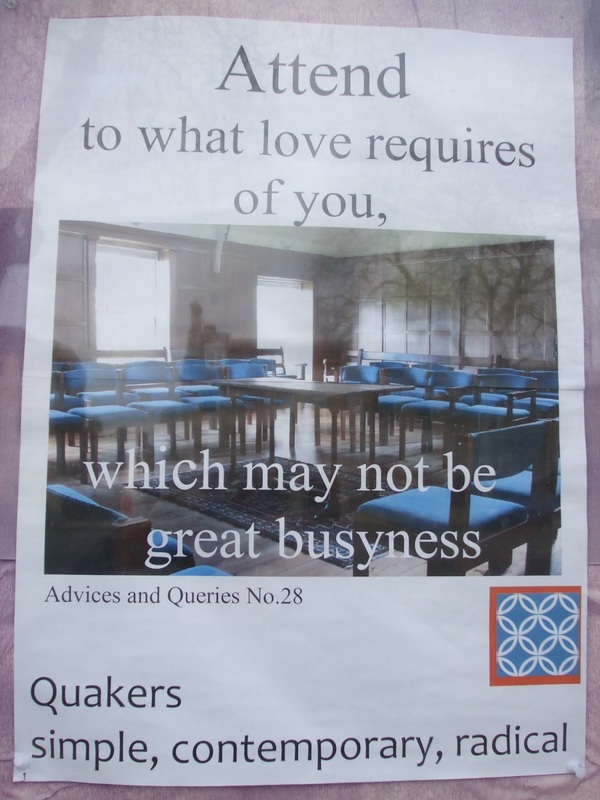 I walk past the Quaker Meeting House most days, and when I'm not rushing or immersed in a dozen thoughts I remember to pause and glance at this poster. It's a chance to break my step, so to speak; a reminder to stop and ask myself: what does Love require of me today? 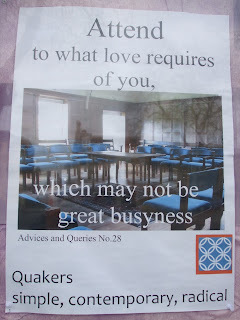 And if it is busyness - then for Who and what cause? Tomorrow I will be going to Llannerchwen to help out with a retreat there. Even when I go there to work, Llannerchwen is a place which slows me down, drawing me into deeper prayer and quietness; a place where Love's requirements feel so much clearer and simpler. There's a wild, enchanting beauty about the place and a stillness in the air, which encourage me, whether emptying the compost or preparing prayer, to pay attention to that which is far beyond busyness. All that, plus the magnetic pull of observing a field full of placidly grazing sheep, and in this season - oh joy! - the playfulness of irresistibly cute lambs. Not even the rainy forecast can dampen my anticipation!